The Photographic Art Society of Florida. “Black & White and One Color” Exhibition. I just got word that a print of my image “Girl with Yellow Pants Running” won First Place at the The Photographic Art Society of Florida exhibition last night. The theme of the show was “Black & White and One Color”. I took this image while on the second Ultimate Travel Photography Workshop (UTPW-II) earlier this spring while returning by bus from a field trip to the Pacaya Volcano in Guatemala (02-May-2011) in the town of San Francisco de Sales. The image was processed with Capture One Pro 6 using the inverse color selection tool to select the yellow color of the pants and notebook and decreasing the saturation of all other colors to black and white. Other processing was performed with Nik Viveza, Nik Define, and Photoshop CS5. I thank my sister Kari Sheppard for persevering while printing the image for the exhibition since it kept coming out too dark. 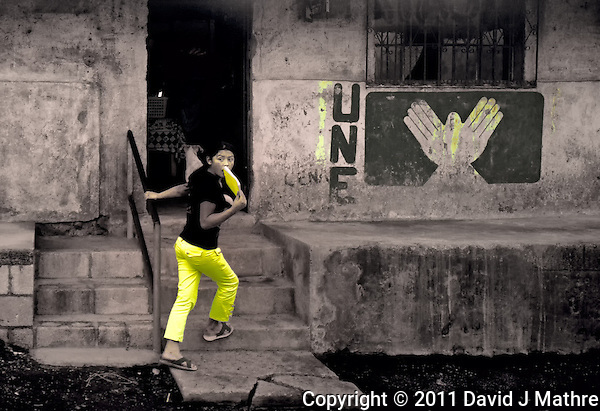 Girl with Yellow Pants Running into Building with UNE Party Sign in San Francisco de Sales. Pacaya Volcano National Park. Image taken with a Nikon D3x and 24 mm f/1.4G lens (ISO 280, 24 mm, f/2.8, 1/200 sec). 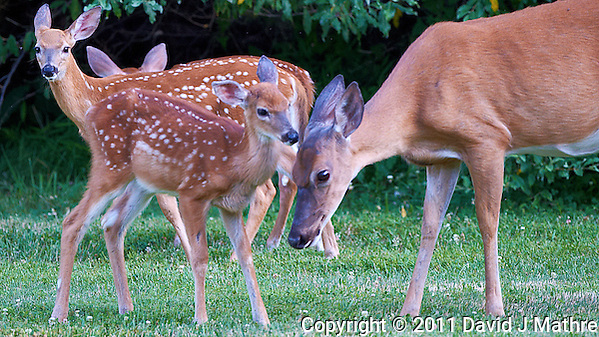 Raw image processed with Capture One Pro, Nik Viveza 2, Nik Define 2 and Photoshop CS5. Intellectual Property Rights and Copyright Abuse on the Net. I was reading Jeff Revell’s Blog yesterday “Google Image Search Helps Me Track Down Abuse” and decided to try it out on one of my images. Surfer Girl is one of the most viewed images I have on my sister’s ShepArt Studio SmugMug site. I found four instances of the image in locations that I didn’t know about or authorize. Two were in a Maui Surf Report blog where someone was trying to help me identify the surfer so I could send her a print. Unfortunately, there is no copyright notice or identification of me as the photographer on the image that they posted. The image then showed up in a “Quit-Your_DayJob-16-pics” blog at UberGnome.com. I reported this to the webmaster at the site, and he removed the image within 10 minutes. The fourth location was on the home page for Home Management Services in Maui. I have not received response yet to have the image removed. Alternatively, I will be sending them an invoice or a free rental in Maui.